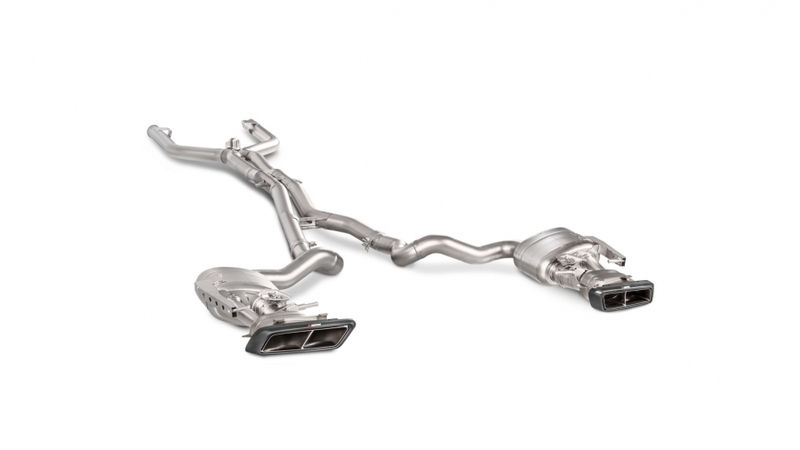 Akrapovič has created another stunning Evolution Line (Titanium) exhaust system for the Mercedes-AMG C 63 range of cars – this time for the coupé, to add to the existing sedan and estate versions. 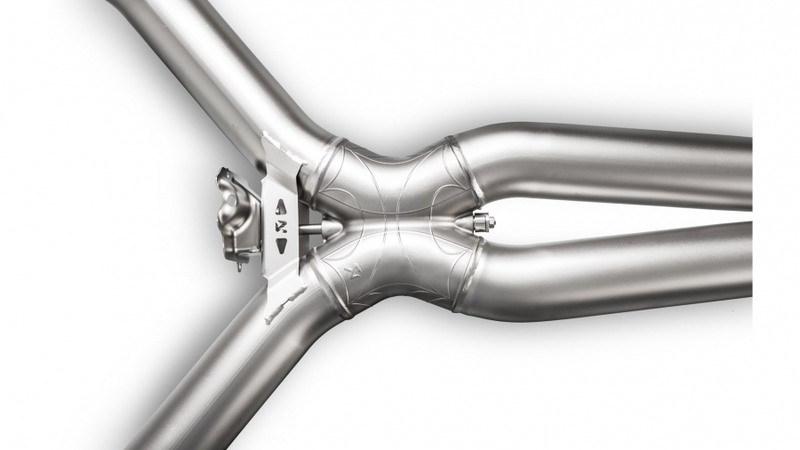 This exhaust is an extension of the previously launched versions and features the same high-grade ultra-lightweight titanium alloys in its construction. Designed to fit perfectly within the coupé’s dimensions, it is flawlessly finished with hand-made carbon-fibre tailpipes to make it stand out from the crowd and show that this system really means business. 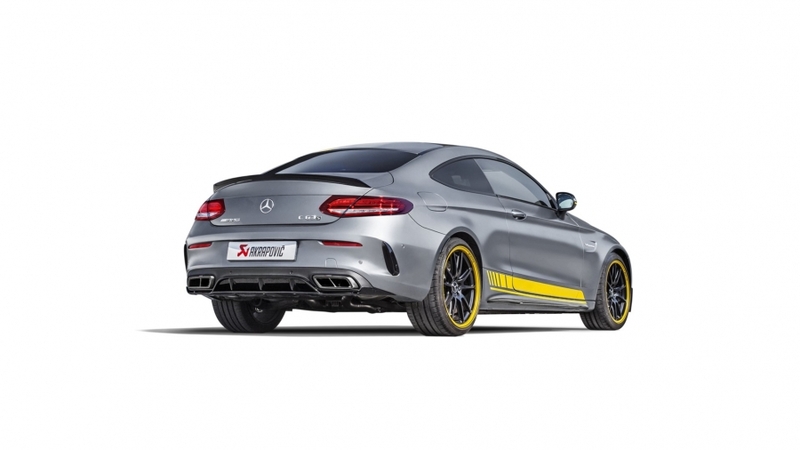 With two mufflers incorporating valves – housings cast in Akrapovič’s in-house foundry – and the unique active X-connection fitted to it, this system is aimed to replace either the base stock exhaust or the performance stock system for the Mercedes-AMG C 63 Coupé. The ultralight active X-connection – also made in Akrapovič’s in-house foundry – contains a valve flap in the middle designed to provide optimal sound and performance results in all of the car’s modes. This gives two different sound characteristics and three defined driving sound settings. In Comfort and Sport mode, a more continuous and refined sound with higher frequencies is produced, with the rear valves closing at low revs in Comfort mode for a quieter and more relaxing ride. The Sport setting usually has the valves open and delivers a sporty but refined aural note, while in Sport+ and Race mode the middle valve is closed and the rear valves are opened, delivering an intense muscle-car V8 roar. The optional Akrapovič Sound Kit allows the user to choose the exhaust tone through by controlling the active X-connection regardless of the chosen mode of the vehicle and is a recommended upgrade when replacing the base exhaust system. The Evolution Line (Titanium) system is ECE type-approved, the catalytic converters remain as stock parts on the car’s downpipes, making the system an easy-to-connect performance upgrade with no ECU remap necessary, and the easy-to-follow fitting instructions make it a simple plug-and-play installation. With performance an ever-defining feature of this stunning car, the Akrapovič Evolution Line (Titanium) exhaust system delivers an increase over the stock systems through both power (plus 8 hp) and torque levels (plus 27.9 Nm / 20.6 lb·ft). The increase in usable performance and a huge weight saving of over 45% compared to the stock base system – which aids handling due to the reduced weight – all combines to make the Evolution Line and the Mercedes-AMG C 63 Coupé a perfect pairing. The Mercedes-AMG C 63 Coupé is a striking high-performance car that can have its power, sound, and handling further enhanced with the addition of the exquisite Akrapovič Evolution Line (Titanium) exhaust system to make this superb car even better.